Where to party after dark in Dallas. We’re glad we finally have a cocktail lounge that caters to grown-ups in need of a sophisticated, after-9 pm retreat. You won’t find rows of spandex dresses taking shots or cheap vodka served with soda. 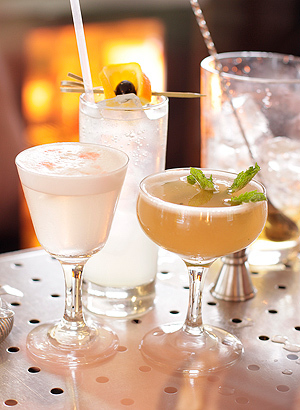 Instead there are young professionals unwinding and an extensive list of whiskeys, sparkling wines, and house-crafted cocktails—all served to you in plush velvet booths. The no. 1 seller is the Pegasus: Texas peach-infused Maker’s Mark, bay leaf syrup, house-made orange bitters, lemon juice, and Fever Tree ginger beer. ’Nuff said. Most sports bars are shotguns, showing whatever happens to be on. Trinity Hall is a sniper rifle: soccer, rugby, and that’s about it. On Saturday and Sunday mornings during the English Premier League season, bleary-eyed fans start filing in around 6:30 am for the early matches. Trinity does its best to show every one of the fixtures; it even found a screen for us when we wanted to watch a very inconsequential early-season Everton/Queens Park Rangers tilt. And the breakfast is delicious. We recommend the eggs on toast. M83, Best Coast, the Head & the Heart, Spiritualized, Nick Lowe, Steve Earle, Ben Kweller, Sleigh Bells, the Delta Spirit, Spoon, White Denim, Colin Hay, Neon Indian, Girls, Dr. Dog, Stephen Malkmus, The Kills—just a few of the acts that have taken the stage at the Granada this year, a roster deeper than anywhere else in town. The fact that it’s the most comfortable room around is just a bonus. This place is a total dive. Wander in on a Tuesday night (or a Tuesday morning; the place opens at 7 am), and you’d never guess that serious singers, people with real talent, come here to rock the mic. Go on a Sunday night, and you’ll hear what we mean. Sure, there’ll be a couple of drunks getting their giggles, but for the most part, you’ll be blown away. The wood paneling, the impeccable service, the tony clientele comprising both locals and out-of-town guests—it all just feels right. Yes, a Moscow Mule mixed with house-made ginger beer will run you $15. But that’s partly the point. And you’re savvy enough to know that half-price happy hour runs from 5 to 7 pm. We love this exposed brick-and-beam beer mecca for the 40 rotating brews on tap (more in bottles), the cool collection of vinyl toys that lines the walls, and the frequent, friendly presence of owner Eric Sanchez behind the bar making recommendations. It’s neutral ground for novice tasters and serious beer drinkers, complete with cask-conditioned ales, rare tappings, and seasonal offerings, but a potential battle zone for anyone who doesn’t at least tolerate the Smiths. It should be no surprise that the best place to dance in Dallas is also the city’s top gay bar. The two go together like RuPaul and feathered wigs. When celebrities such as Lady Gaga and Jean Paul Gaultier come to town, it’s the Round-Up they choose for boot-scootin’ good times. The popular Oak Lawn country and western bar is far more than Stetsons and Wranglers. On the weekends, DJs spin popular dance tunes after midnight. 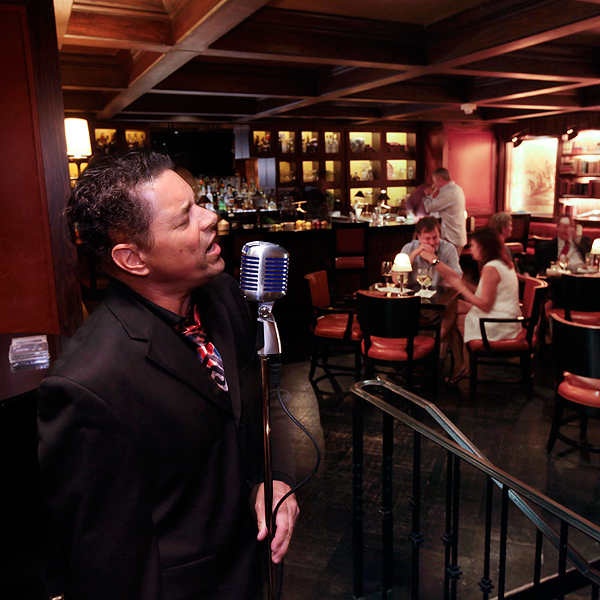 The front parlor hosts karaoke from 9 pm to 2 am. Don’t know your two-step from your Slappin’ Leather? (Don’t worry. It’s a line dance.) The Round-Up offers free dance lessons on weeknights. Best of all, the friendly and fun-loving crowd throws its hands in the air and caution to the wind, dancing with a whiskey-fueled lack of inhibition. Before long, you might catch yourself slappin’ some leather after all. Line dancing, too. We liked it when Jack’s Backyard occupied this spot by a trailer park in West Dallas, and we love it now. Tim Byres, Christopher Jeffers, and Chris Zielke (the guys behind Smoke and BarBelmont up the street) have taken the old place’s reclaimed and repurposed aesthetic a step further, creating seating areas out of cut-up shipping containers and a stage out of pallets. The atmosphere is casual. The drinks are strong. There are classier items on the menu here (duck confit, with roasted red pepper and smoked Gouda, served on a toasted roll with beer vinegar), but, man, we don’t need anything besides the three-cheese grilled cheese. It’s the best in town. Yeah, we just said that. Ships keeps it simple: beer, wine, and cash only. Inconvenient? Maybe. But the Shippers don’t care. They also don’t care that the walls sport year-round Fourth of July decorations. And they really don’t care that at least one of those decorations is misspelled. This is a bar. Where you drink. And shoot the breeze. Then drink some more. Order a flirtini and pay with plastic someplace else.